Step Back in Time for the Time of Your Life! Children 4 and under are always FREE! Two tickets: one will be valid Saturday only and the other for Sunday only. Not valid on Memorial Day Monday. The tickets do not have to be used on the same weekend, but a Saturday ticket is only valid on Saturdays, and a Sunday ticket is only valid on Sundays. Valid every day of the season. Includes close up parking, identifying commemorative pin, special gathering areas, 10% discount on all Scarborough souvenirs, 2 free companion tickets valid any day of the first two weekends (if purchased by 11:59pm, March 15, 2019 at) and additional discounts at select area hotels. Group tickets are available for purchase for groups of 15 or more. Group Tickets must be purchased online and are not available at the gate. Purchase your Group tickets online TODAY! If your group qualifies for Tax Exempt tickets, please contact our Sales Department at 972-938-3247 x17. (Tax Exempt tickets are not available for purchase online and must be purchased through our Sales Department). The villagers of Scarborough invite you to participate in our Corporate Discount Program. The program offers your employees an opportunity to arrive at the festival gate with ticket in hand – while enjoying a significant savings off gate admission prices. Simply choose between Consigned Physical Tickets or an Online company specific Promotional Code. 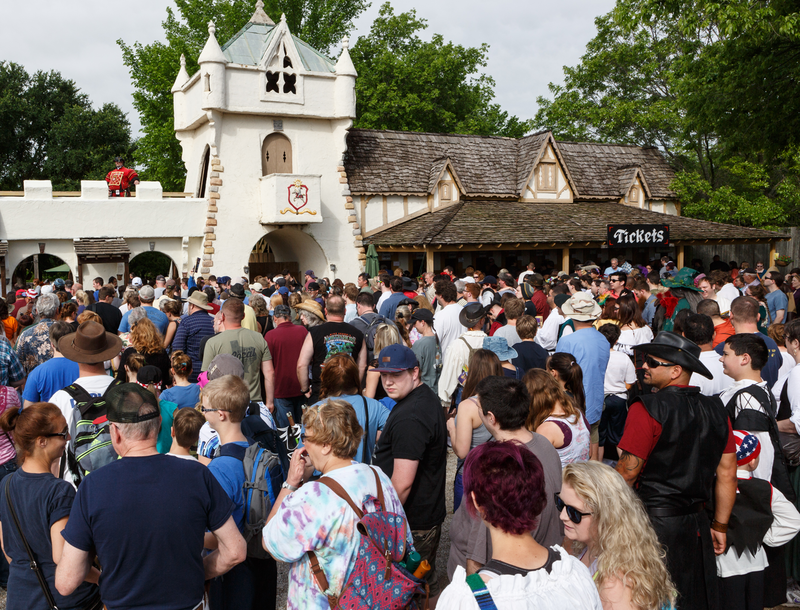 Discount tickets for your employees are valid anytime during the 2019 season. These discounted tickets save 25% off the gate adult general admission price of $28.00 and 10% off the gate child admission price of $13.00. For further details, please visit our Consignment Page. Children are ages 5 – 12. Children age 4 and under are always FREE!